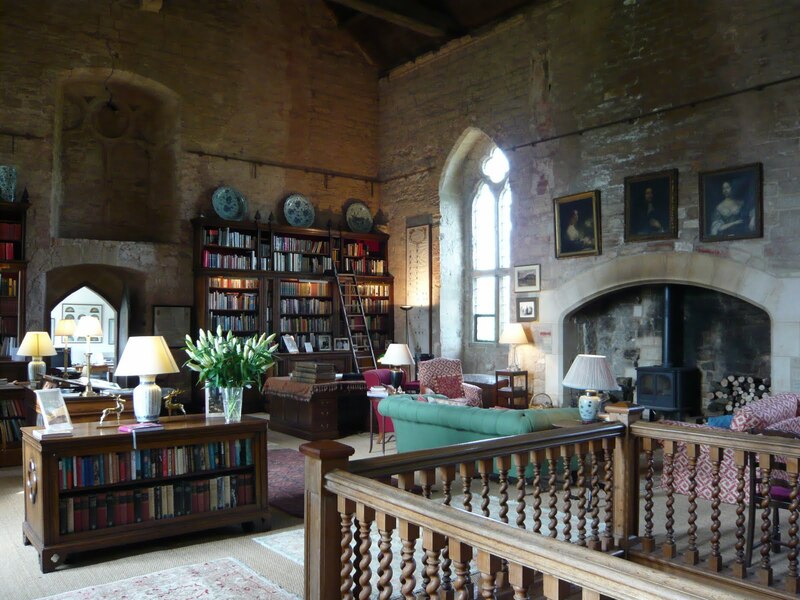 The Great Hall of a mediaeval manor house would have been a splendid sight - built and adorned to impress visiting noble men and dignitaries alike. 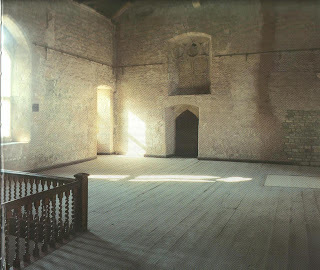 Pigmentation can still be seen on the walls at Markenfield indicating that the walls would have been a wonderful rich red colour, and at one point they were even panelled in oak (those oak panels now grace the walls of the Bishop's Palace in Ripon). But not so the Great Hall at Markenfield. After the Rising of the North in 1569, the house and its land was confiscated from the de Markenfield family for high treason and given to Thomas Edgerton - the first in a long line of absentee landlords - and so began a period in the Hall's history that saw it fall in to a state of disrepair. Inhabited by a series of tenant farmers, it was recorded in 1855 as being used as a grain store along with the neighbouring Chapel. Fletcher Norton - later to become the first Lord Grantley - effectively saved the house in 1761 as it was he who re-roofed the Great Hall making it water tight and safe from the elements - every surveyor and builder knows just how quickly a house deteriorates once the weather gets in. 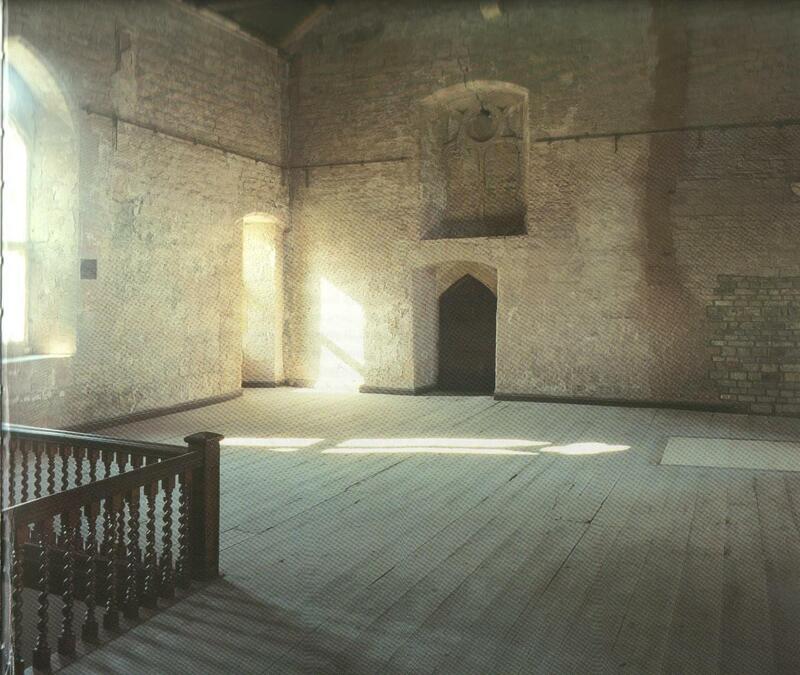 The 1980s restoration under the direction of 7th Lord Grantley left the Great Hall largely untouched, and the image at the top of the page shows the Great Hall some time in the 1990s. The restoration of the Great Hall began in the winter of 2003-4 with the re-instatement of the massive keystone fireplace, followed by the installation of the giant oak book-stacks the following winter. Further details of the restoration can be found here CLICK in an article for the Heritage Conservation magazine. The Great Hall is now a place that breaths piece and makes you leave with questions. I love the photographs of the family on the little tables and book cases.